On Thursday, February 28th, the Program on Negotiation Film Series will present an episode of The Advocates, an award winning television show created in 1969 by the late Roger Fisher, former Professor of Law at Harvard Law School and co-founder of the Program on Negotiation and the Harvard Negotiation Project. 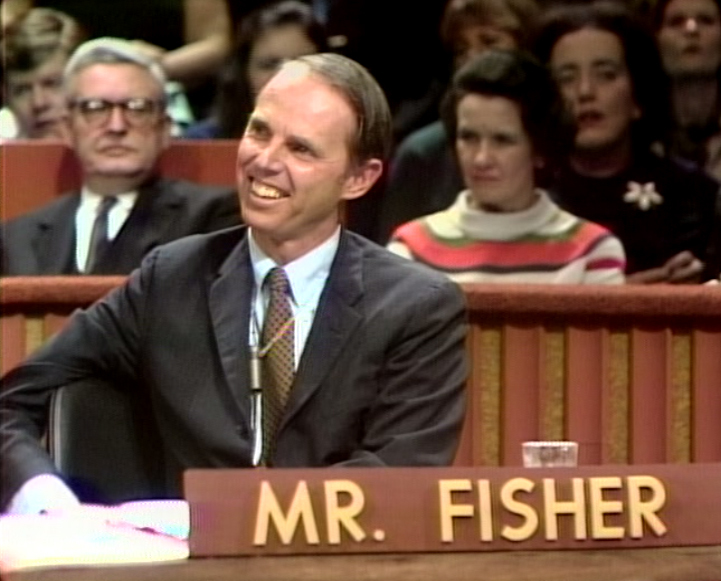 The episode to be screened was originally aired in 1971, and features Roger Fisher and William Kunstler as opposing advocates debating the effectiveness of civil disobedience as a tactic to end the war in Vietnam. Michael Dukakis, the future Governor of Massachusetts, was the moderator, and witnesses included Howard Zinn of Boston University, and Congressman Tip O’Neill. The concept of The Advocates and how it evolved will be introduced by Lisle Baker, one of the original four Advocates on the show, and now a Professor of Law at Suffolk University Law School. Bruce Patton, co-author with Roger Fisher of Getting to Yes, will discuss how The Advocates relates to Professor Fisher’s later work on negotiation and conflict resolution, including the development of the television show Arabs and Israelis that helped advance the cause of peace in the Middle East. They will both be available to answer questions and help the audience reflect on what Professor Fisher’s legacy might be going forward in making better use of the media to advance public understanding and civil discourse. The screening will take place on Thursday, February 28, 2013, from 7:30 – 9:30 p.m. in Langdell Hall North, on the Harvard Law School campus. The event is free and open to the public. Pizza, popcorn and soda will be served. For additional details about the PON program, please click here. This event is being held in conjunction with the Harvard Negotiation Law Review 2013 Symposium, entitled “Ideas and Impact: Roger Fisher’s Legacy,” to be held on Saturday, March 2nd. To see additional episodes of The Advocates online, visit the WGBH Open Vault website at http://openvault.wgbh.org/collections/advocates-advocates.